Dream it. Build it. Tile it. Love it. There is so much you can do with KERDI-BOARD. 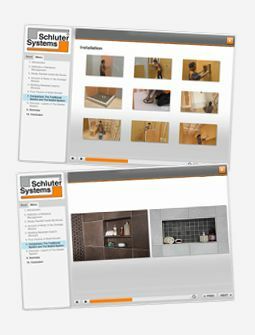 KERDI-BOARD brings great versatility to tile, allowing you to build custom elements that would be next-to-impossible to create using tile backer board or other conventional building panels. Save time and waste less by creating your tile-ready element with KERDI-BOARD. Available in eight thicknesses, KERDI-BOARD building panels allow you to cut and size your creation according to the size of the tile—allowing for less cuts and less waste. What’s more? KERDI-BOARD is completely waterproof and temperature resistant. Build beautiful benches. 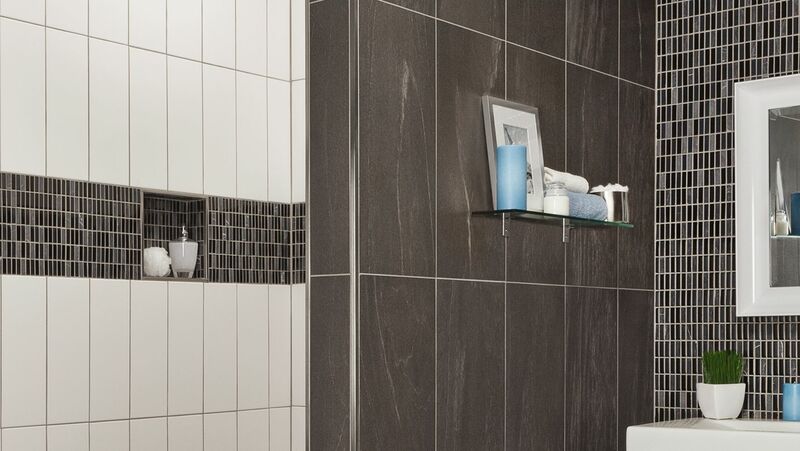 Use large-format tiles that cover the desired width. 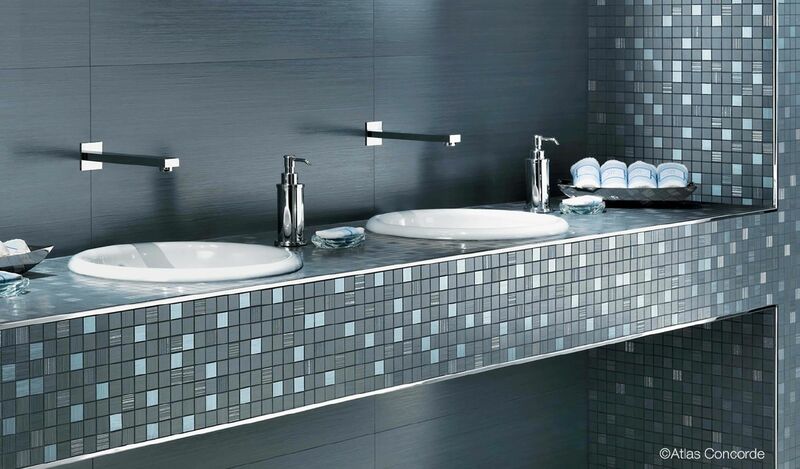 Or use tiny mosaics and add a curve to the bench using KERDI-BOARD-V.
Tailor a tiled vanity to your specifications. Prefabricated vanities do not always fit the intended space as perfectly as we would like. 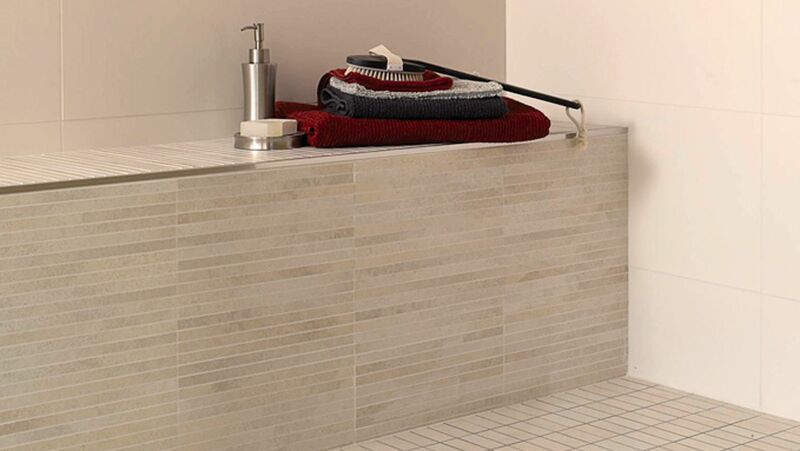 With KERDI-BOARD, you can customize your vanity according to the needs of your space and the size of your tile. Add tiled shelves and nooks for further sophistication. 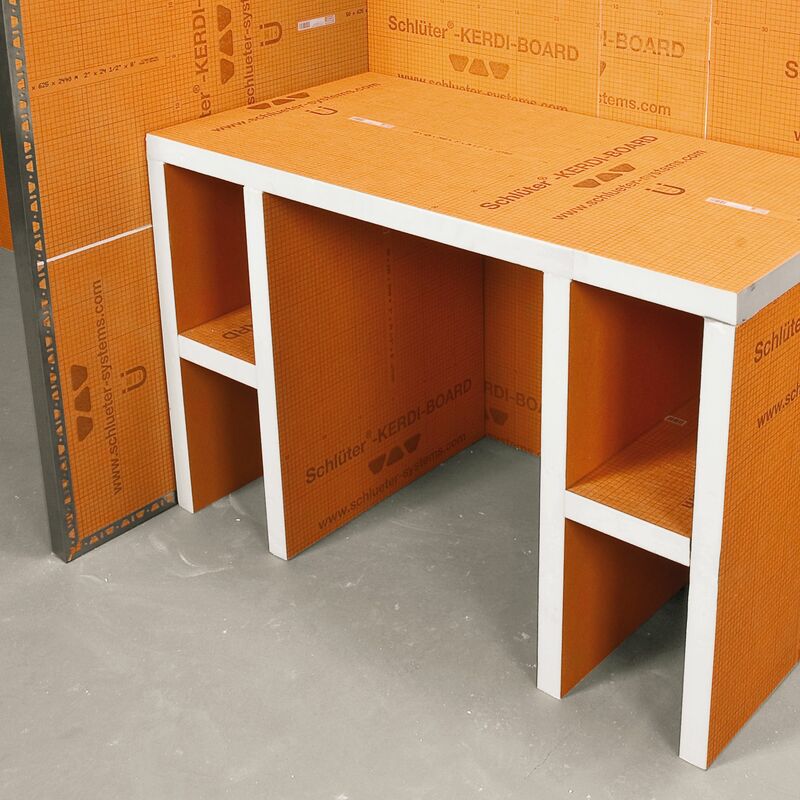 The construction of partition walls using masonry blocks or stud framing with sheathing is time-consuming and often requires additional preparation before tiling can begin. 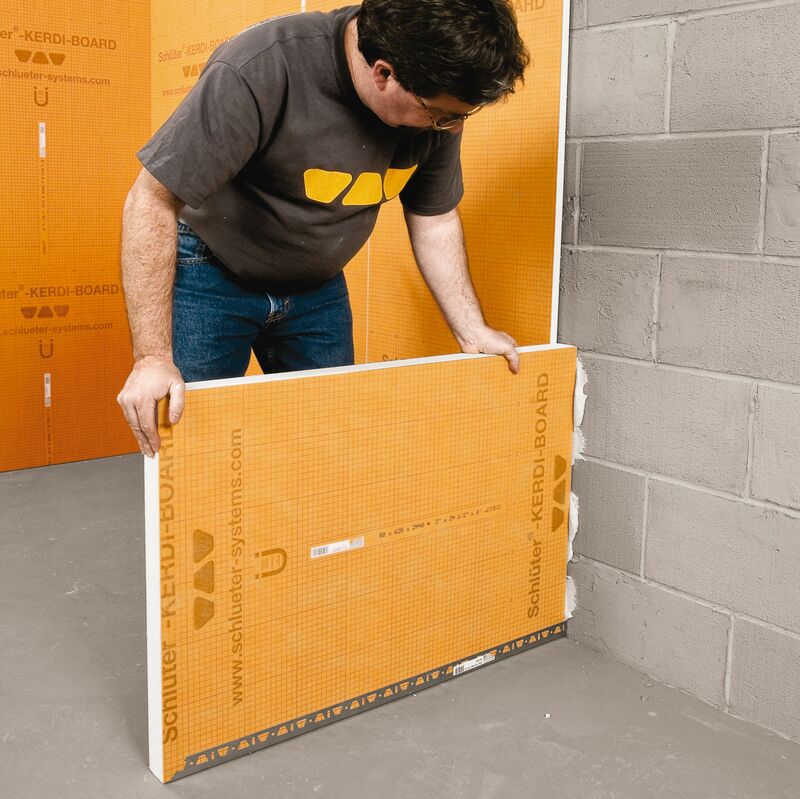 KERDI-BOARD can be used to quickly and simply create stable and self-supporting partition walls for tiling. Create curved elements using KERDI-BOARD-V. Great for creating stylish tub decks, custom wet bars, and even pools. Have an awkwardly placed pipe that you would like to cover? 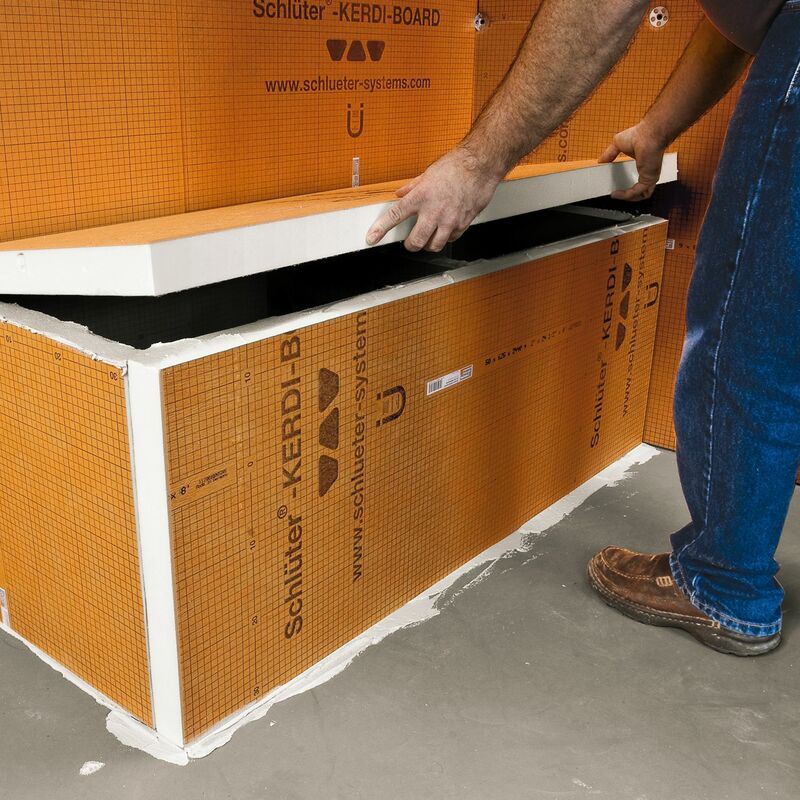 KERDI-BOARD-E/-U are substrates designed to conceal columns and exposed pipes. KERDI-BOARD-V allows you to create rounded elements. 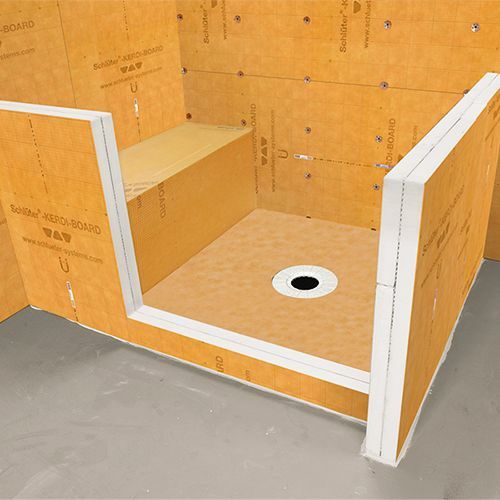 Like all KERDI-BOARD panels, they are waterproof and ready for tile! What do you want to build with KERDI-BOARD today? Build your customized tiled bathroom vanity with KERDI-BOARD.